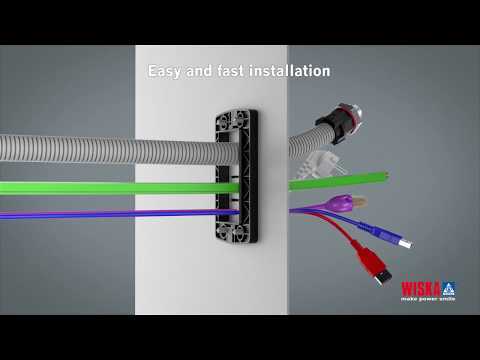 WISKA is introducing a cable entry system especially designed for switchboard installations: CONMAXX. The innovative 3-component modular system offers customers a whole new dimension of flexibility. The CONMAXX system consists of a closed frame, variable grid inserts and conical sealing elements. The three components can be compiled individually according to requirement and application, as if in a modular system. Even subsequent, individual changes to the wiring are no problem – without any laborious opening and closing. CONMAXX provides a better and easier solution to any installation requirement! About 100 different seals, four frame sizes and different grid inserts enable extremely flexible and individual electrical installation. 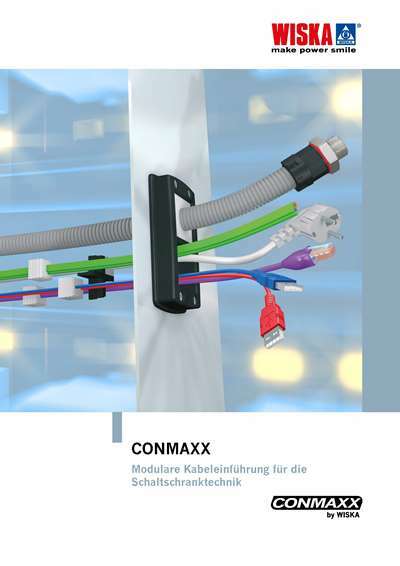 Even solutions for special cables, sleeves, as well as pre-fabricated cables and wires are no problem with CONMAXX. The many possible combinations also reduce storage costs. Watch our video and see for yourself the advantages of our CONMAXX system! The CONMAXX Frame is stable in shape and fits standardized industrial connector cutouts. Due to its closed construction there is no need for unscrewing to insert or change cables. Different grid inserts can be pushed into the frame individually and thereby offer highest flexibility in cable entry. 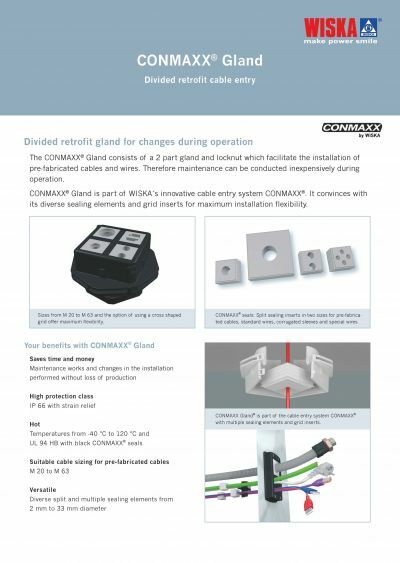 No matter if small or big cables – CONMAXX Grid make for an easy and fast installation and later adaption of cables. No matter if you have a big or small cable diameter – CONMAXX offers the fitting sealing element for your needs. Thanks to its unique conically shaped design CONMAXX seals ensure the high protection class of IP 66. The black sealing elements are especially designed to withstand high operational temperatures and have fire protection class UL 94 HB. Grey sealing elements offer the high fire class of UL 94 V0; making them suitable for the rail industry. 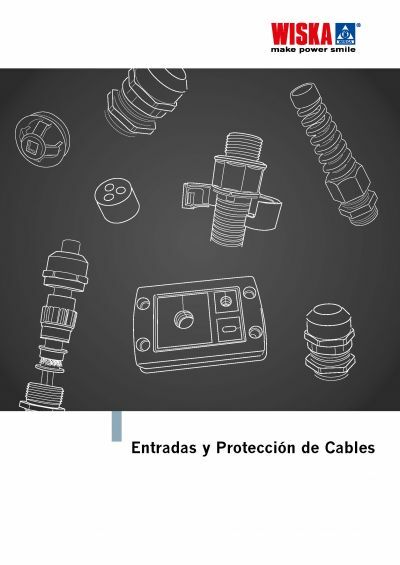 By using multiple sealings you can insert two or more and also special cable types. Flex protection insert for an additional protection allowing higher cable flexibility.